CBR's Spinoff Online reports on the new Young Justice series. Aqualad - Jackson Hyde, who's introduced in DC's Brightest Day #10 - is the leader of the team. Like his comic-book counterpart, the animated Aqualad will be revealed as the son of Black Manta, archenemy of Aquaman. 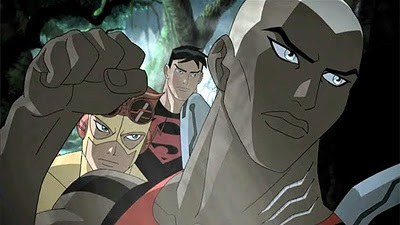 Fans of the previous Aqualad, Garth (aka Tempest), should take heart: He, too, will appear in Young Justice. Previous reports indicate that Aquaman will also appear in the show, and as a major supporting character along with other members of the Justice League.